The Pancodix team gained great experience in development of podcasting systems. Our products find their usage in retail networks, where the constant advertising content broadcasting is needed. One of such products is the system, which has been developed in cooperation and against order of 3Core Elements GmBH (Germany). The system allows to organize playlists from the big quantity of source feeds, manage them flexibly, and play them on multiple geografically remoted devices. A special attention has been paid to the uninterruptable playback. Below are some screenshots illustrating the work of the system. 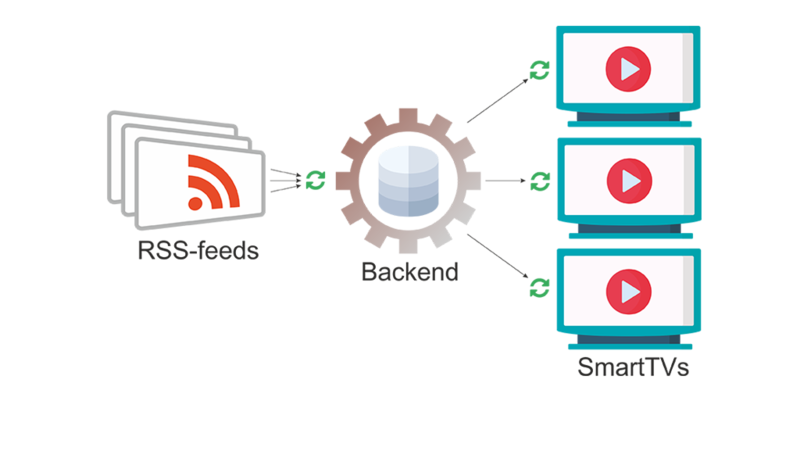 The system organizes the playlist from multiple RSS-feeds and provides it to client devices. The backend works with standard RSS 2.0 feeds, checking for changes in certain spans of time and updating the playlist according to that changes. Several feeds can be mixed into one playlist, preserving positions of earlier inserted mediafiles. 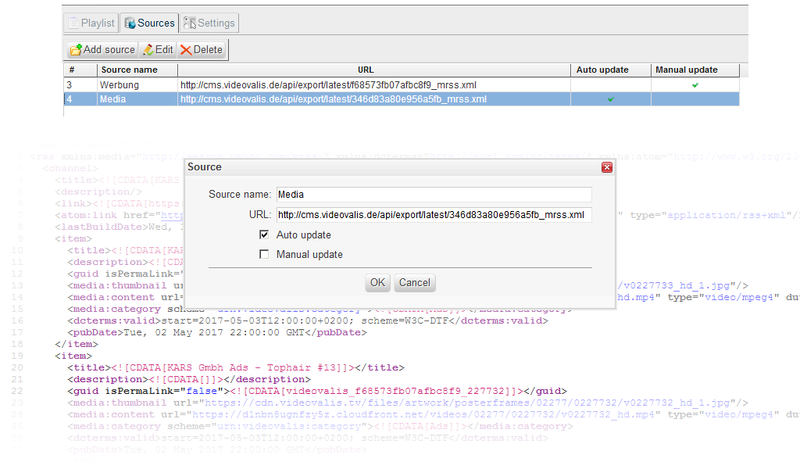 The user can change the sequence order of mediafiles by drag-n-drop, create track duplicates, make an unscheduled playlist update according to changes in RSS-feeds. The frontend checks for playlist updates in certain spans of time. To provide fail-safety media stream, the mediafiles are cached before playback. 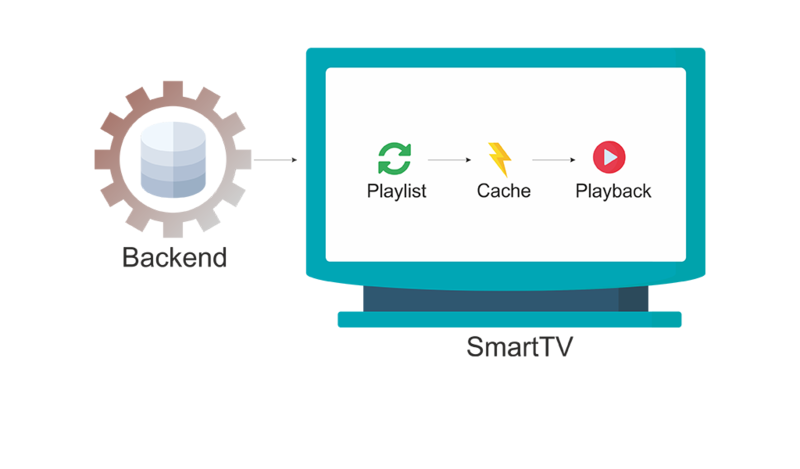 The frontend is optimized for Android-based SmartTVs, but it can be adapted for any device, from smartphones to big wallscreens.